The Bible teaches that if you believe with your heart and confess with your mouth, you shall have whatever you say. In How To Turn Your Faith Loose, Rev. Kenneth E. Hagin expounds upon that truth and clearly shows that "confession is faith's way of expressing itself." In this exciting slimline book you will discover: The three kinds of confession Why faith has to be exercised, released, or turned loose in order to work. Why confession is the key to receiving from God How the right confession opens the door to God's supernatural blessings. How to build a solid, positive faith life! 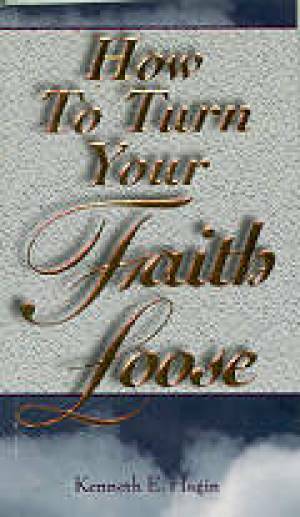 How To Turn Your Faith Loose by Hagin Kenneth E was published by Faith Library Publications in October 1985 and is our 5569th best seller. The ISBN for How To Turn Your Faith Loose is 9780892760077. Be the first to review How To Turn Your Faith Loose! Got a question? No problem! Just click here to ask us about How To Turn Your Faith Loose.